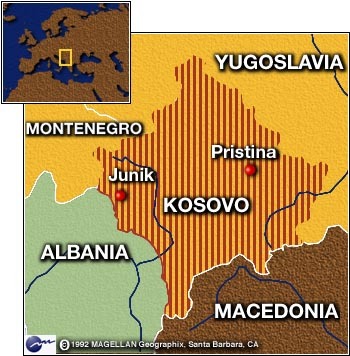 WASHINGTON (CNN) -- Ethnic Albanian rebels in Kosovo have captured a Yugoslav army lieutenant and turned him over to the United States, which was holding him as a prisoner of war, the Pentagon said Friday night. 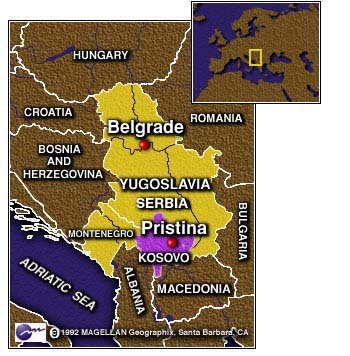 The Kosovo Liberation Army, which is seeking independence for the Serb province, took the soldier hostage in Kosovo, near the town of Junik, about 45 miles southwest of Pristina near the northern Albanian border, the Pentagon said. The officer was described as a commander of about 20 men. After his capture during a nighttime operation between Tuesday and Wednesday, he was delivered to the Albanian government. On Friday, he was turned over to the United States, and flown on a U.S. helicopter from northern Albania to that nation's capital, Tirana. "During his captivity, the Yugoslav officer will enjoy all the protections and rights accorded by the Geneva Conventions, including the right to send and receive mail," a statement from the Pentagon said. The Pentagon said he was examined by a doctor "to ascertain any combat-related or other injuries, and was found to be in good condition." He was being given food, shelter and medical care as well as religious counseling, the Pentagon said. Arrangements were being made for a representative of the International Committee of the Red Cross to visit the POW, officials said. Pentagon officials have criticized Yugoslavia for not affording those rights to three U.S. solders captured near the Yugoslavia-Macedonia border about weeks ago. They have not been allowed to communicate with their families or receive medical examinations from international Red Cross workers, U.S. officials said. In Belgrade, CNN and other media organizations were invited to tape a meeting Friday between moderate ethnic Albanian leader Ibrahim Rugova and Serbian President Milan Milutinovic and Yugoslav Deputy Prime Minister Nikola Sainovic. However, reporters were not allowed to question him. 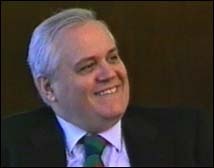 In Washington, Secretary of State spokesman James Rubin said the United States does "not conclude ... that Dr. Rugova is speaking and acting freely and openly." 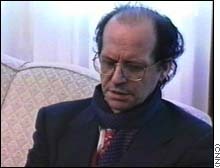 NATO, who has described Rugova as virtually under house arrest in his Pristina home, described an earlier meeting between him and Yugoslav President Slobodan Milosevic as staged. Yugoslav officials released a statement after the latest meeting, saying once again that the Kosovo crisis can not be resolved politically while the NATO bombing campaign continued. NATO spokesman Jamie Shea said Friday that the Yugoslav Army and paramilitary forces in Kosovo were suffering "serious losses" but gave no figures. NATO said it flew 400 sorties and struck targets in at least six cities overnight Thursday into Friday. 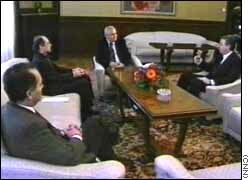 Shea said that Yugoslav forces were being continually harassed by the KLA. 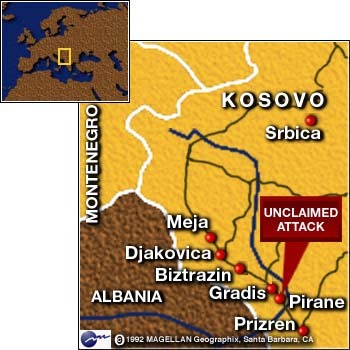 An Albanian government spokesman reported that there had been a five-hour clash between Yugoslav forces and the KLA just inside the Kosovo border. 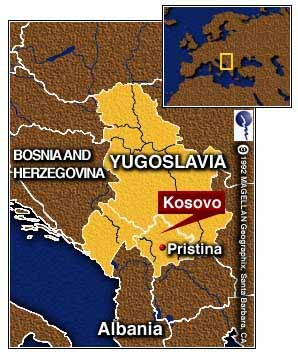 The fighting was reported to be hand-to-hand combat in an area several kilometers inside Kosovo near Tropoje, Albania. Media and government officials in Serbia reported Friday what they called the effects of the most recent attacks. Three missiles slammed the country's main oil refinery in Pancevo and a chemical factory was hit, Serb television reported. A bridge in Smederevo, about 25 miles (40 km) east of Belgrade, was damaged, it reported. Serb TV said civilian areas were struck in Subotica, about nine miles (15 km) south of the Yugoslav-Hungarian border. It was the first reported attack in the town. In Belgrade, Serbian Health Minister Leposava Milicevic said NATO bomb attacks had killed 350 people and badly injured 3,500. 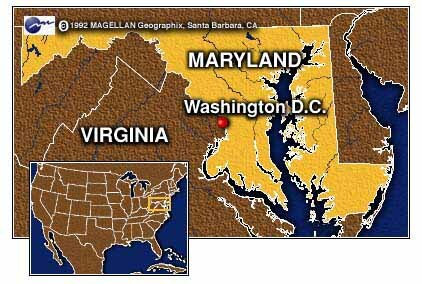 A Yugoslav diplomat in the United States late Friday placed the civilian death toll at nearly 6,000. Late Friday at the United Nations, Yugoslavia formally rejected a U.N. peace proposal calling for the deployment of an international military force in the province. Yugoslavia's most senior diplomat in the United States, Charge d'Affaires Vladislav Jovanovic, told reporters his country was willing to negotiate an international civilian presence in Kosovo, but not a military one. In Washington, the U.S. State Department said there was new evidence of mass killings by Yugoslav forces in Kosovo west of Pristina. And the White House will ask Congress for nearly $500 million in new spending to help alleviate the Kosovo refugee crisis, CNN has learned. Four Greek trucks with medical supplies crossed into Kosovo from Macedonia, the first international aid for Kosovars displaced inside the province. More aid was to follow. In past days, smaller groups of Kosovars have trickled across the border, but the refugees said Yugoslav army forces were intensifying efforts to drive them out. Prisoners must be kept in a place where their lives are not at risk. They are required only to give their name, rank, serial number and date of birth and may not be coerced into giving other information. They cannot be put on trial. They must be protected against insults and public curiosity. They may be imprisoned until the end of the conflict, but must be released immediately when it ends. The refugees, aid workers said, were in much worse shape than those who had crossed the border before. Many had been walking for three to four days and were suffering from malnutrition. Aid workers said they have asked the Macedonian government for permission to open new camps. Two more camps were being constructed with a capacity of 20,000 on the Albanian border. Meanwhile, NATO admitted that an air attack earlier this week on a convoy near Meja, north of Djakovica, may have killed civilian refugees. But Shea and NATO's military spokesman, Italian Gen. Giuseppe Marani, refused to comment on other attacks. Serb authorities said at least 64 people were killed when NATO planes attacked a convoy of ethnic Albanian civilians Wednesday. "We have no indication of any other hit on a civilian vehicle other than the one that we owned up to and apologized for north of Djakovica on Wednesday," Shea said. NATO acknowledges hitting two convoys near Bistrazin, one of which it says was a military convoy and another it says was a refugee convoy with military vehicles at the front and rear. Alliance officials say they attacked only military vehicles, and cut one attack short for fear of hurting civilians. 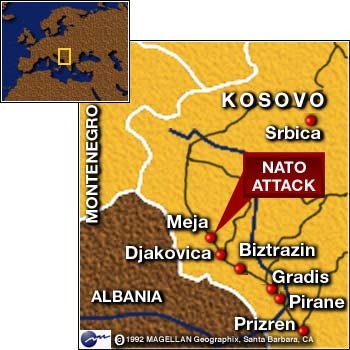 But Yugoslav officials also say NATO attacks killed more than 75 people in a civilian convoy near the town of Pirane, in southwestern Kosovo. Shea and Marani repeatedly put off questions about those reports, saying the incidents were still under investigation. Correspondents Brent Sadler, Satinder Bindra and Alessio Vinci contributed to this report.